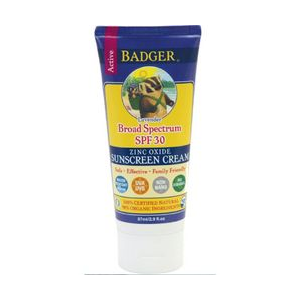 Badger Active SPF 30 Clear Zinc Unscented Sunscreen Cream - 2.9 oz. 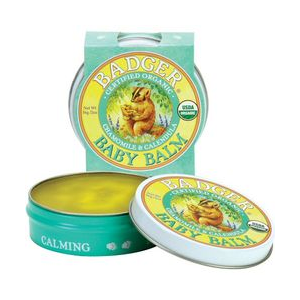 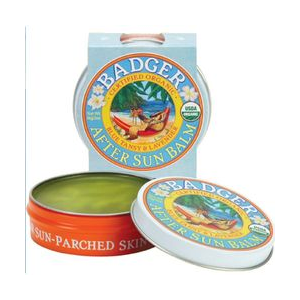 Soak up long summer days with the Badger SPF 30 Clear Zinc unscented sunscreen cream. 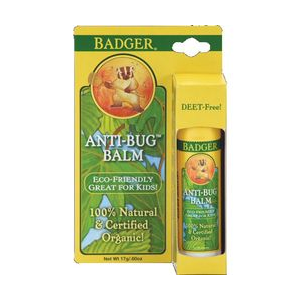 Ideal for active families, this cream has 98% organic ingredients and resists water for up to 40 mins. 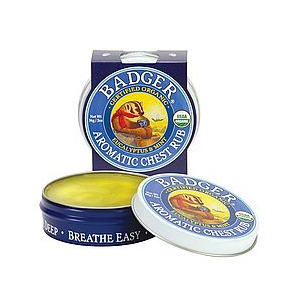 Keep your lips smiling with the broad-spectrum sun protection and moisturizing performance of the biodegradable, non-GMO Badger SPF 15 Clear Zinc lip balm stick.